Wouldn’t it be great if you could get paid to eat healthy food? With BerryCart app (which is the subject of this review) you can. BerryCart is a sort of grocery rebate app that rewards you for buying healthy food. All you have to do is upload your receipt and get paid! For most people, the idea of eating healthy is appealing. Eating healthy and staying in shape go hand in hand. You’ve been convinced over the years that healthy foods cost more. That makes shopping for them – and buying them – a little less palatable. Time reports that switching to a healthier diet increases food costs by approximately $550 per year, per person. Getting paid to eat healthier foods, especially for larger families, seems to be the best way to go. BerryCart offers a sensible solution that rewards you for eating foods that are good for you and your family. 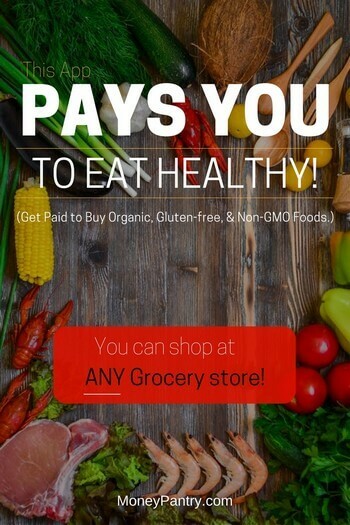 BerryCart is an app that allows you to get cash back on your grocery purchases when you buy select healthy food options. It works very much like the popular app, Ibotta, that gives you cash back when you participate in certain offers through their app. While Ibotta is filled with offers from a variety of retailers and vendors that include things like food, cleaning products, candy, etc., they very rarely feature organic or whole food products. In contrast, BC app exclusively offers healthier food choices that include food and beverages. None of the foods featured on the app contain high fructose corn syrup, artificial sweeteners, or harmful chemicals. This means you can buy with confidence that you’re getting foods that are healthy for you and your family to consume. Getting started with the app is simple. In 6 easy steps you can go from not earning to earning. Step 2: Create your account: Enter the required information and verify your account. Step 3: Choose your deals: This step allows you to go through the offers available on the app. Enter the required information and verify your account. This step allows you to go through the offers available on the app. You can filter your search according to specific stores or product attributes. How’s that for a list of healthy eating options? The outstanding thing about BerryCart is that you can make your purchases in stores or online and still redeem your offers for rebates. Once you’ve finished shopping, scan your qualifying receipts and the rebates will appear in your account to be redeemed in the form of gift cards to select retailers or deposited directly into your PayPal account. This is the one everyone is excited about! You must accumulate cash back savings of $5 or more before you can submit for your payment. Most purchases will post to your account within 24 hours of scanning the transaction. What types of products can you get paid to buy? Offers are constantly evolving so it is best to check back frequently for new offers and to remove expired offers from your queue. While shopping through the BC app can help you get cash back from your shopping adventures, some shoppers suggest that you combine offers from other apps to maximize your savings potential and earn even more cash back. The key is to use the apps in conjunction with sales prices, coupons, and other discounts so you can ultimately buy healthy items for next to nothing – or get paid to buy them through the combination of savings and rebates! Most people will enjoy savings that can offset the increased costs of eating healthy by using the BerryCart app. If you think about it, though, that can easily be $550 or more in your pocket over the course of a year – depending on how large your family is. What kinds of stores can you shop from? One of the best things about the app is that it works with any qualifying receipts used within the past week (unless offers specify a different timetable). As long as you purchase the specific item mentioned in the offer, and there is no exclusion for certain stores stated in the offer, you can redeem your receipt for a rebate. 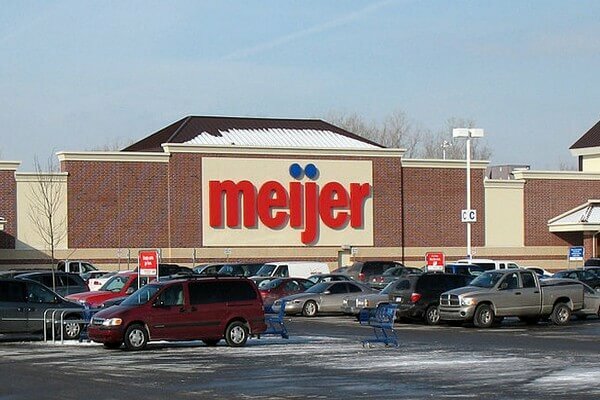 This means you can shop for healthy food items at the stores you already know and love. Each of these stores offers a variety of healthy food and other healthy living items you might find discounts on when shopping through the BerryCart app. The real beauty here is that you can really ramp up your savings and create real earnings by shopping wisely. Don’t limit yourself to stores that sell organic foods exclusively. Don’t be afraid to shop these stores either. Sometimes they will offer the lowest prices on the items you want. Combine sales items with rebate and other cash back offers as well as coupons. It’s called stacking your savings and this is where you can really get paid to shop. One Reddit user reported getting cash back when buying several months’ worth of meat by combining rebates, coupons, and special offers. Don’t overlook the power of earning discounts for shopping online either. Also, consider downloading the Flipp app that allows you to search local stores for specific items to compare current sales prices. By using the Flipp app with coupons and cash back offers from a variety of apps, you can really send your savings into overdrive. They used to offer sign up bonuses and even referral bonuses in their early days. Unfortunately, it seems like they’ve done away with bonuses. If you like free money and sign up bonuses, check out this list of 20 sites that pay you to sign up. Don’t worry if you’re new to earning rewards for grocery shopping via cash back rebate apps and offers. Once you get the BerryCart app down you’ll find that it gets easier and easier to add new ways to save and earn money for shopping. Now that you know what you need to do to get paid to eat healthy it’s the perfect time to start doing just that!